Though not as abundant as the wood type offerings from TypeCon 2009, attendees of this week’s ATypI conference, Typ09: The Heart of the Letter in Mexico City will have the chance to attend at least one wood type related event. The goal of cataloging the Rob Roy Kelly American Wood Type Collection is to expand upon the historical information previously collected. Central to my research is physical engagement of production processes, providing direct knowledge of the type forms. Investigating wood type blocks directly, reveal unique planing patterns produced during manufacturing, providing a strategy to identify manufacturers of un-stamped wood type. Through this engagement, I have been able to chart the impact the tools themselves had on driving the derivation of styles throughout the 19th century, and investigate the impact wood type manufacturing processes might have on contemporary digital type production. When I visited the Rob Roy Kelly Collection almost exactly one year ago, I saw some of the preliminary work David was doing in relation to this topic, where he was printing and examining the sawblade marks from milling on the back of type to see if there were any patterns that might help in providing extra information. 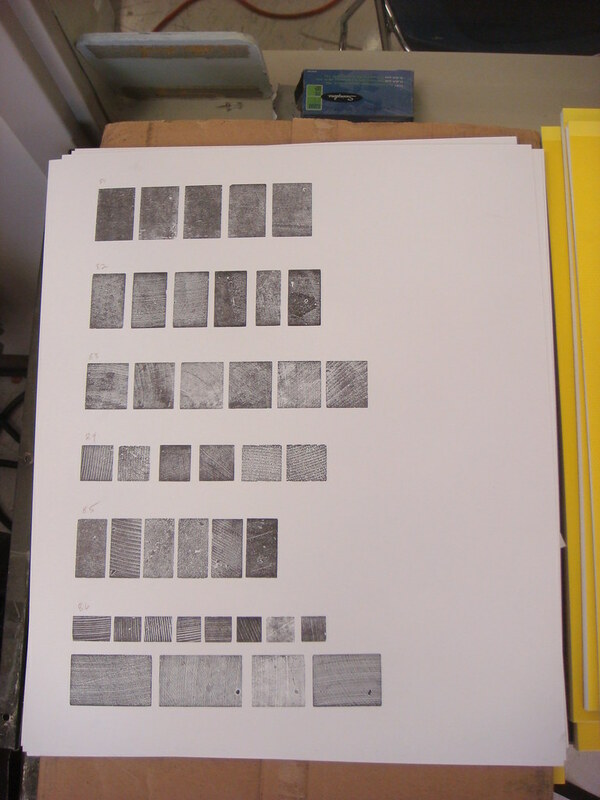 Comparison of milling patterns from the back of wood type at the Rob Roy Kelly American Wood Type Collection. I’ll be attending the talk, short as it is, and hope to report back here afterwards with a summary. 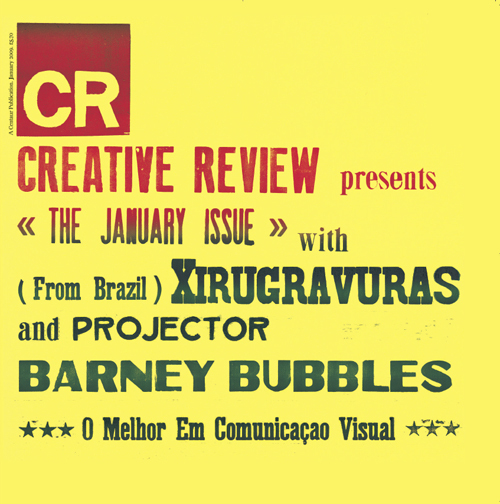 Grafica Fidalga has seen quite a bit of coverage in the design press recently, including a cover for Creative Review, so it will be interesting to see what other information Dixon and Nardi have to share about the decidedly rough and ready print shop. 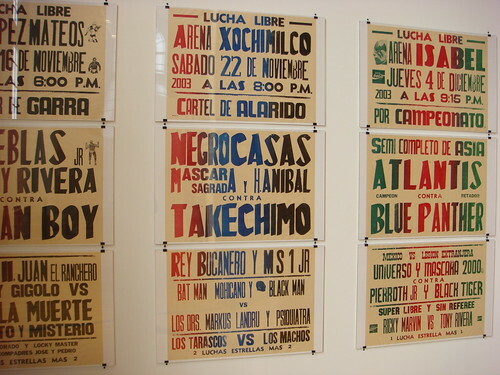 Other than that, conference attendees have the opportunity to experience a genre of wood type printing in Mexico City (though not officially part of the conference) that is less prevalent in other parts of the world: promotional posters for “lucha libre” Mexican wrestling events. 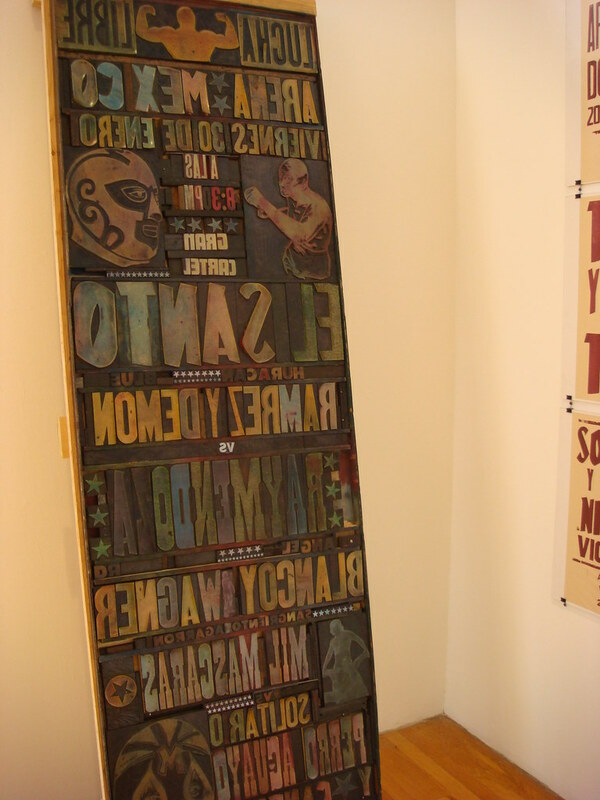 One of the largest wood type lock-ups I’ve ever seen was for such a poster at the Sensational! : Mexican Street Graphics exhibition that came through MassArt back in 2007.